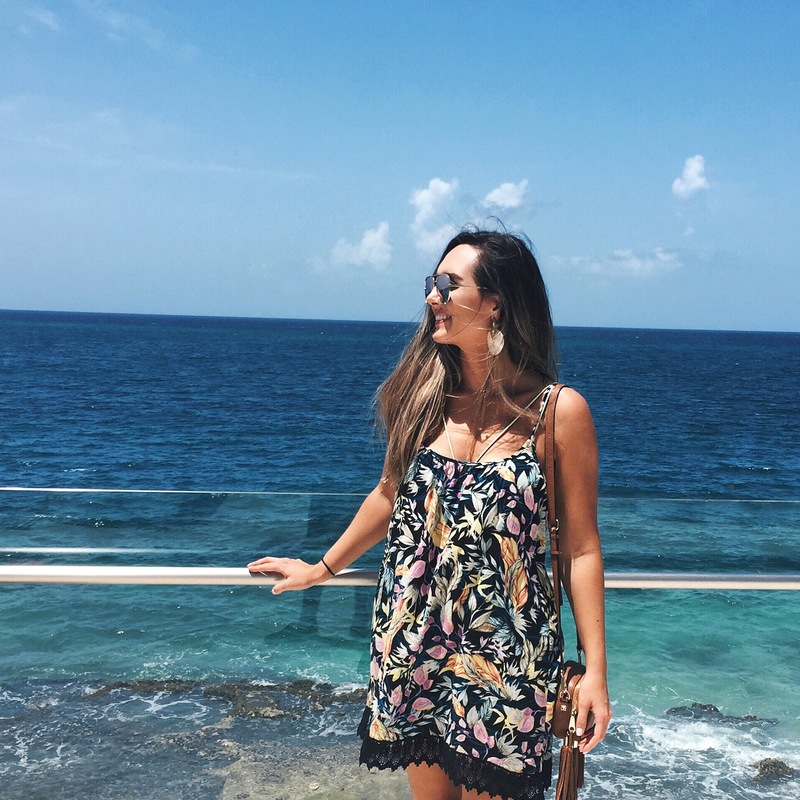 Returning back from vacay is always hard, but returning home from Puerto Rico was extra tough! 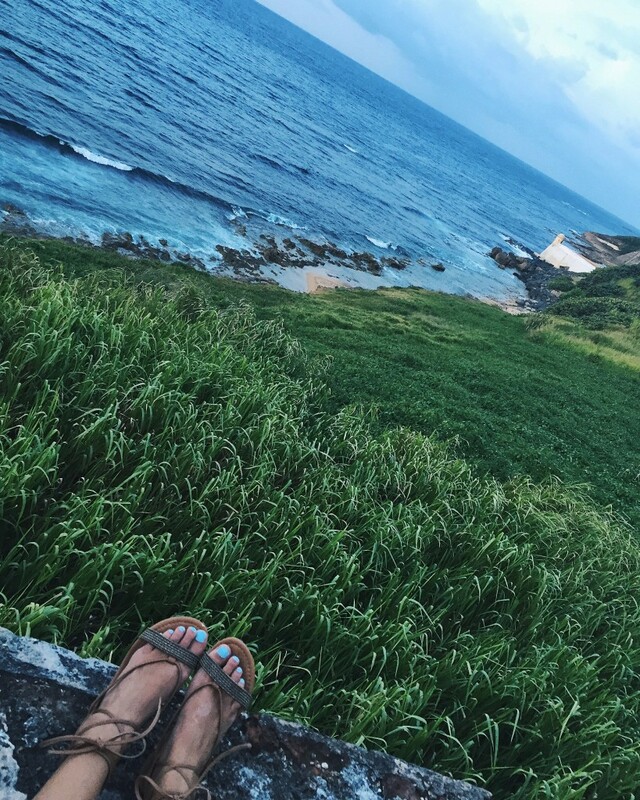 It was such a FUN trip and I can honestly say I fell in love with the city of San Juan. We’ve already been talking about hitting things we missed on our next trip there! 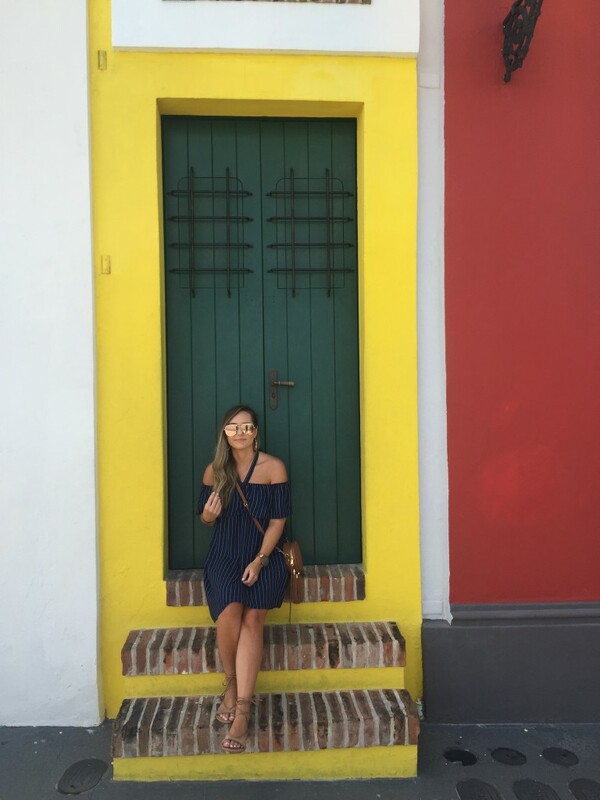 We took an entire day to explore Old San Juan and I wouldn’t have had it any other way. It was so incredibly beautiful! Strolling the streets and exploring the rainbow colored buildings and historic forts was so fun. 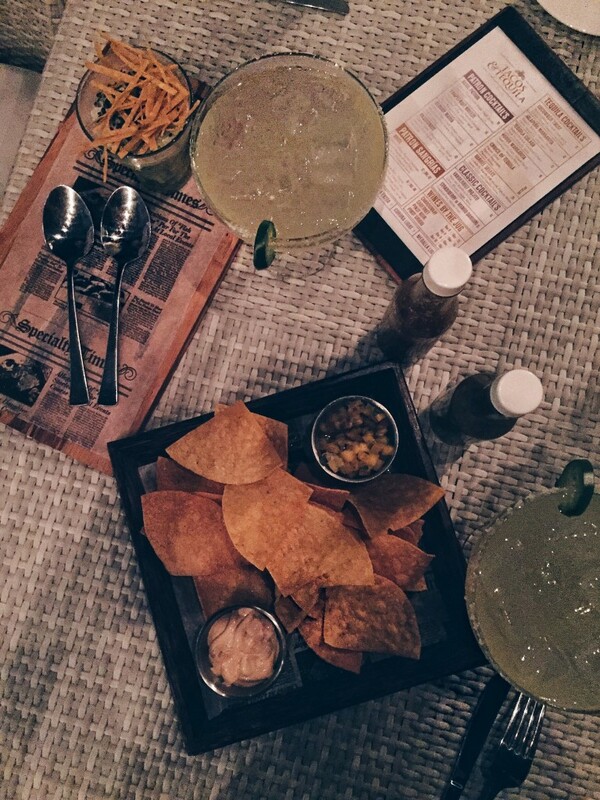 We tasted some delicious food and of course some Puerto Rican rum. 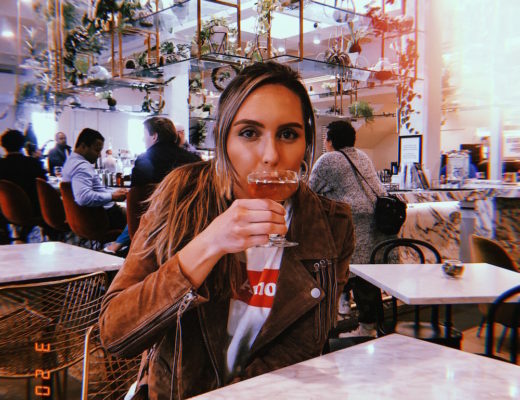 We stumbled upon Casa Melaza rum boutique as we were exploring the city and it was so cute! 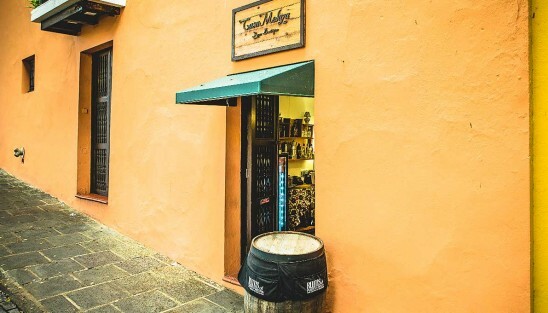 They have more than just rum, but when you are in the rum capital of the world you can bet that’s what I’m going to taste! We shared a flight of delicious rums. They have a few different flight tastings to choose from ranging from years aged. We learned some Puerto Rican rum history and had an amazing time! Now you see pictures of these bioluminescent bays online and they look so magical! I read a few different reviews before we went and everyone said it is definitely worth the experience but the pictures are very different from the actual bay. I do agree with this, but I completely still recommend going! We went on the Island Kayaking Adventure but there are so many different tours out there! 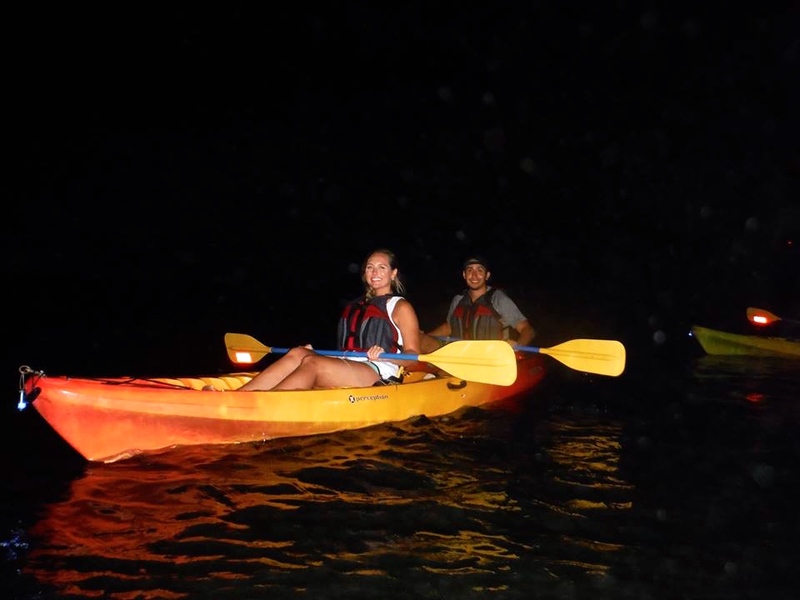 The guides were awesome and kayaking at night through the mangroves was so magical. When you get to the bay [about a half an hour trip] and you put your hand in the water the micro-organisms light up and look like little fireflies sparkling in the water. The whole experience in itself was definitely worth it! They do recommend going on a new moon when there is the least amount of light in the sky. 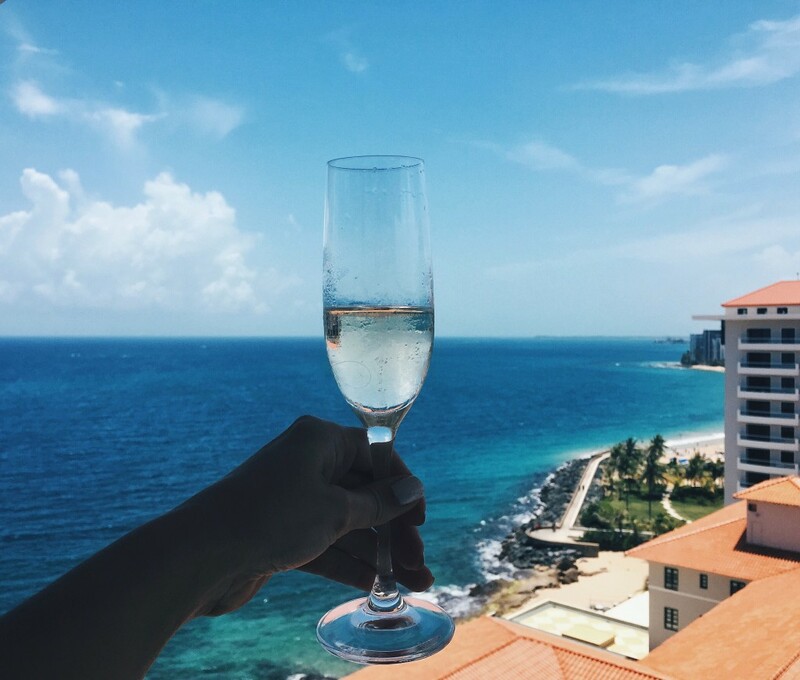 We stayed in the Vanderbilt hotel on Condado beach and it was so gorgeous. Anything you could want in a hotel and more. 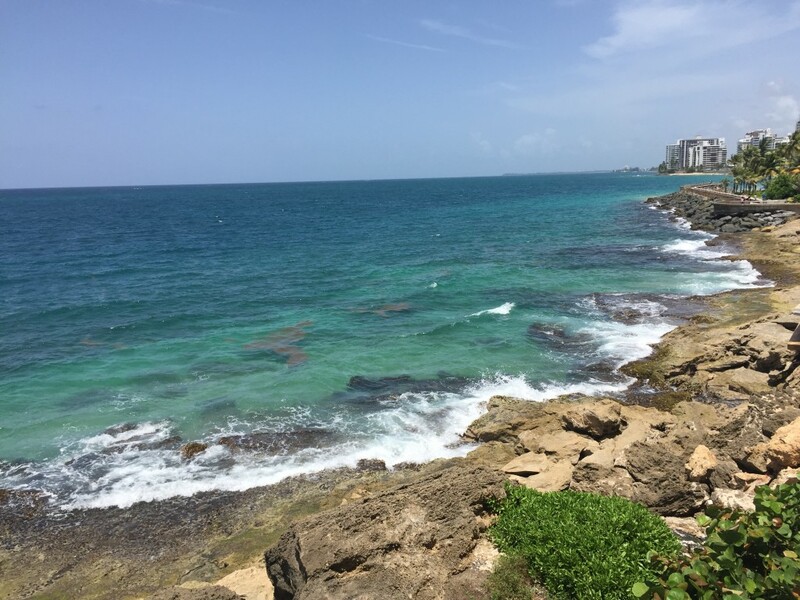 Staying in the Condado area was nice because you are right on the beach. Having some bevs, chilling by the pool, and enjoying the sun was a must on this vacay. I literally probably could’ve moved into this hotel I was that obsessed. Even if you don’t stay here I totally recommend paying their pool and beach area a visit. Four words: Infinity Pool & Strong Drinks. We had so much delicious food it was hard to narrow it down to the favorites! 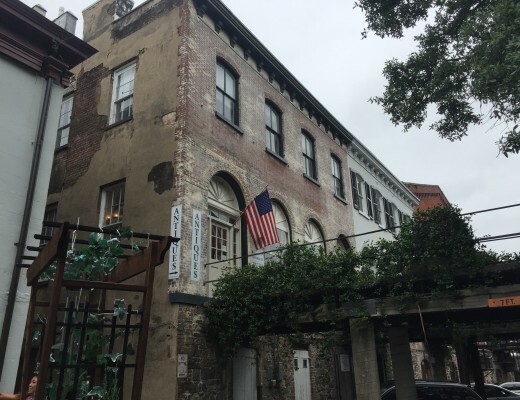 This restaurant is located in the Vanderbilt so it was easy to walk to the first night. The jalapeño margs and ceviche were so good. The tacos were decent, but I recommend this place for drinks and apps instead! 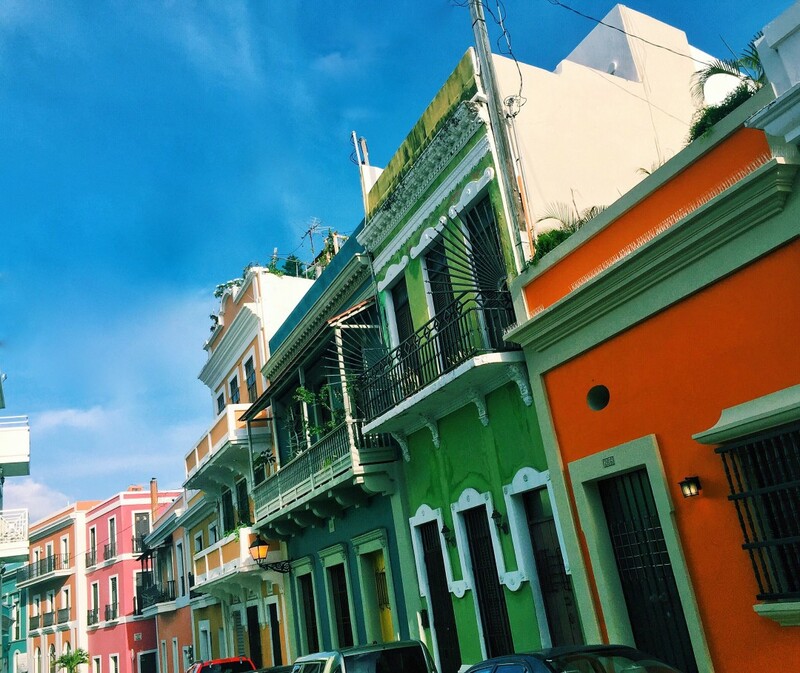 We were lucky to have some local recommendations before we travelled to San Juan, so we knew a few must try places and Cafe Manolin in Old San Juan was one of them. 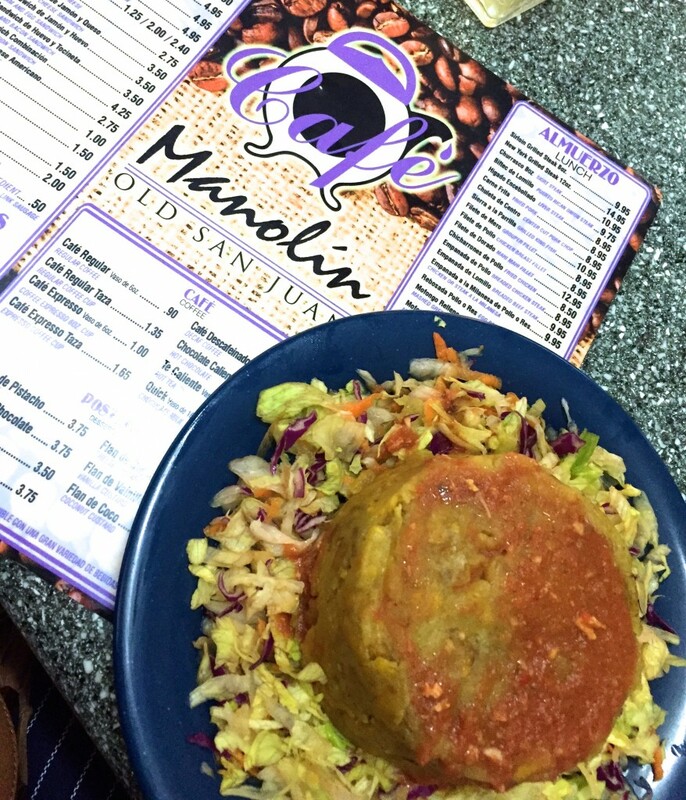 I kept seeing mofongo all over so I knew I needed to give it a try. It’s main ingredient is fried plantains and I had mine with chicken. It was so delicious! This place is definitely a must go for lunch, especially if you want a real local restaurant with amazing food. You know a place is delicious when it is constantly busy! Such an amazing diner spot-we ordered breakfast and I have to say probablyyyy my favorite meal of the trip. 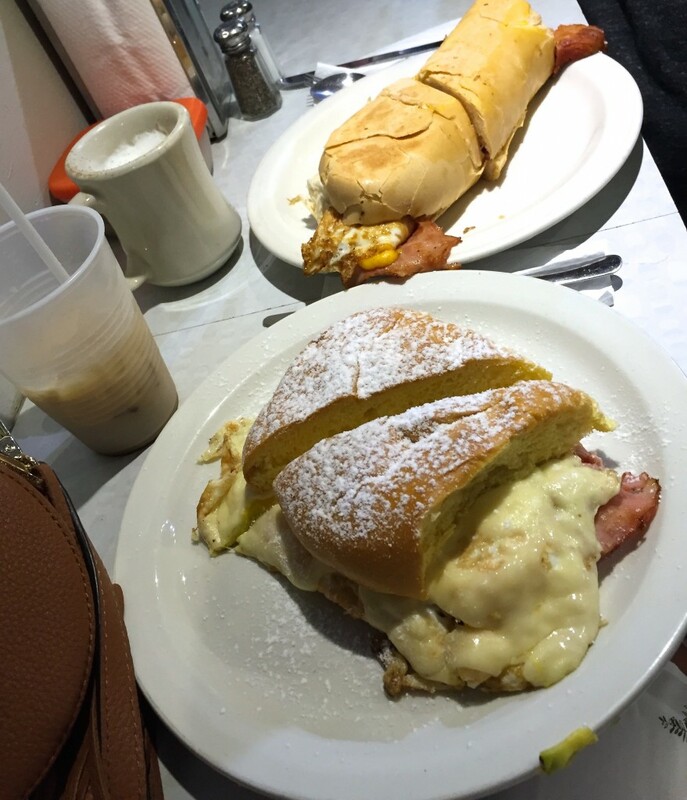 Get the Mallorca Breakfast Sandwich or Pinky’s Breakfast Sandwich [there is pesto mayo on it which is magic!] and an iced cafe con leche! Delicious authentic food and open late! Mango mojitos were sooo good. Another amazing meal! So amazing that it was consumed without taking any pictures [whaaat?!]. 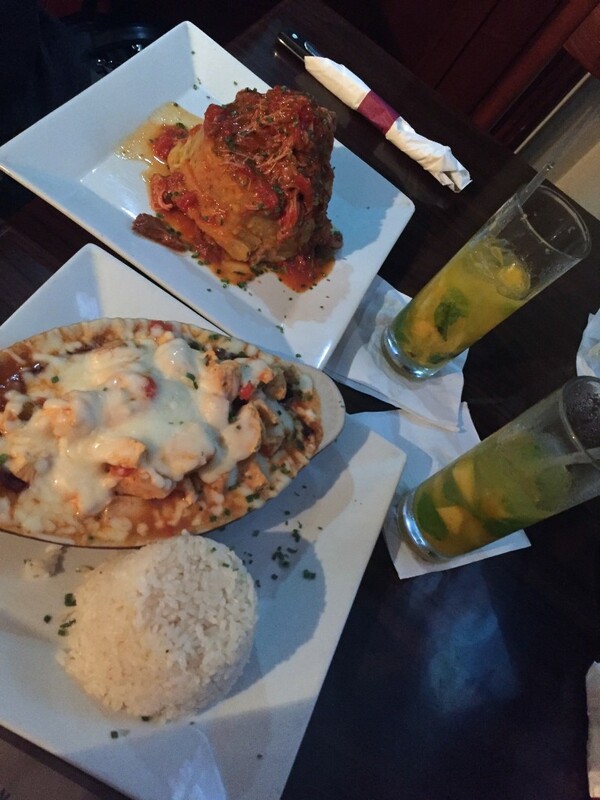 The ropa vieja is a must to get, coincidence I think not! 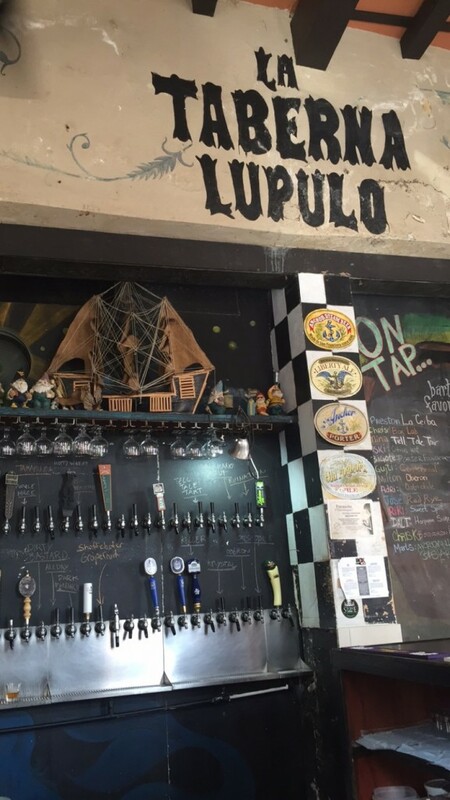 Definitely a great bar to hit up in Old San Juan! A huge beer selection and some great apps! Just strolling down San Sebastian you will find so many fun bars to try! 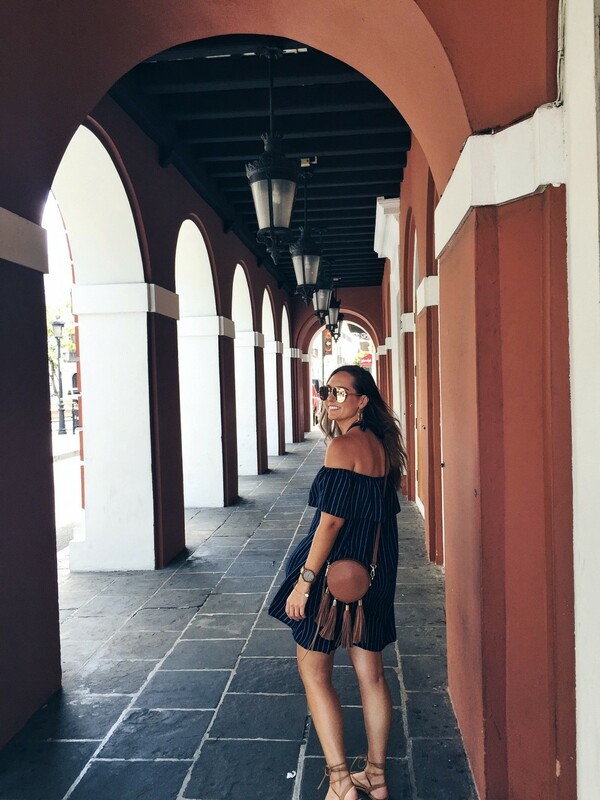 One thing I loved about Puerto Rico is you can feel comfortable in whatever you choose to wear-there are so many stylish people and ensembs! I opted for flowy dresses almost everyday because of the heat. Other than dresses, I mostly chose swimsuits especially one-pieces! They worked great layered under shorts and skirts. 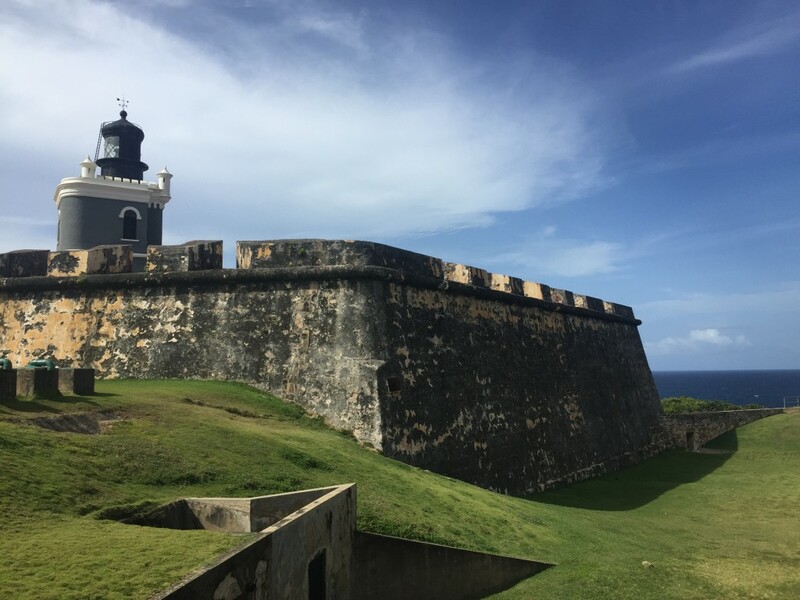 We can’t wait to return to Puerto Rico and get a chance to experience more of the beautiful sights and of course eat more delicious food! 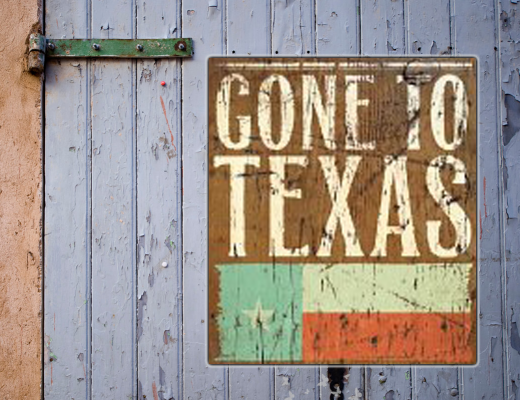 Let us know any other places we missed so I can put them on my list! Hello gorgeous. Seems like u had an amazing time . Love ur pics and pretty much having a foodgasm. I wish I can visit this soon. 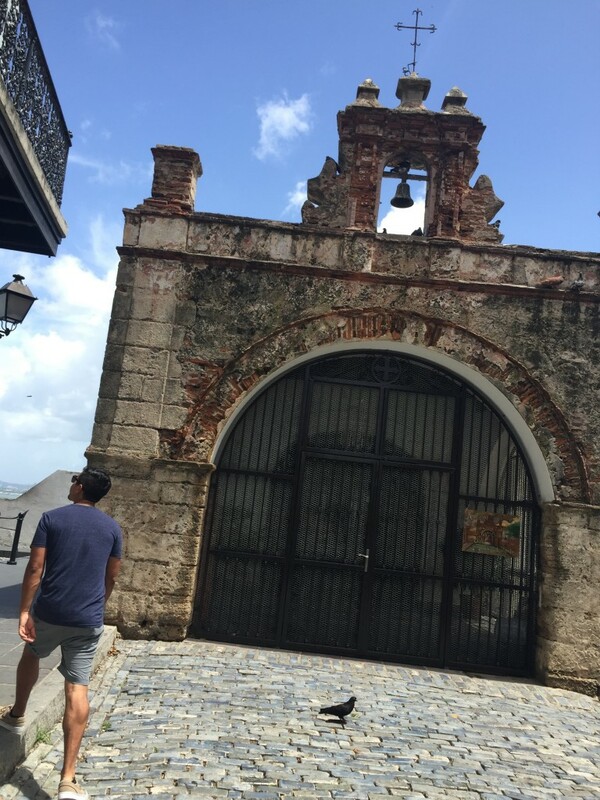 LOVE your photos of Old San Juan! This reminds me so much of the time I was there, especially the colorfully bright buildings. You also did the biobay as well! We didn’t see too much light at that time, but glad you had fun!